Why do I need a pedal board for an acoustic guitar? Acoustic guitar effects are quite different from those intended for electrics. Plenty of acoustic players are purists taking great pride in sounding as authentic as possible. With nothing, or next to nothing between their guitars and the ears of the audience. However, many do not follow this traditional path and enjoy using effects to give their acoustic tones something extra. These stunning gain and effects pedals, along with loopers, are invaluable as practice tools as well as raising live performances to previously unimagined heights. Compressors basically squash the signal. They take the lowest signals in volume and increase them. While also lowering the highest volume signals. They limit the dynamic range that you and your acoustic guitar produce. You must be thinking that limiting the dynamics is a terrible idea. Dynamics are what gives music emotion and passion. And you’re correct. But too much dynamic range means that the quiet sections sometimes can hardly be heard. While the heavy, let-it-all-out strumming sections can be overpowering. A compressor is there to help you even out your sound. Not remove the dynamics, but control them allowing the best signal to come through at all times. Separate controls for Attack, Release and Ratio let you precisely tailor your tone, from transparent transient control to flat-out limiting and monster sustain. Meanwhile, the elegant jewel lamp functions as an intuitive three-colour gain reduction meter. The ace in the hole is the Dry Blend control, which lets you mix your dry signal back in with your compressed guitar tone for true parallel compression. The Urei 1176 is probably the most commonly used and iconic studio compressor of all time. And the Cali76 Compact Deluxe is based on its design. The pedal is an 1176-style studio-grade FET compressor. Featuring high-current, low-noise, discrete Class-A circuitry, and dedicated parallel compression control. All of the functionality of the flagship Cali76 Standard has been squashed into this compact pedal. Including the parallel mix control. Previously, only found on the companies limited edition models. It features separate controls for Attack, Release, and Ratio. Letting you get your tone the exact way you want it. From subtle, transparent transient control to flat-out limiting and monster sustain. But, what earns it, its rightful place, as the best acoustic guitar compressor, is the Dry Blend control. This lets you mix your dry signal with your compressed guitar tone. For true parallel compression. Parallel compression has been used in studios since compressors were invented. Used to thickening the tone of anything that needed it. It allows you to push the compressor and get the hard compression you want. And then blend some of that, with your uncompressed tone. This results in a pure tone with natural dynamics, but with more thickness and bite. This is essential for using compression on acoustic guitars. Based on a legendary design. None apart from the price, but since we are building a money no object acoustic pedal board. Featuring the best acoustic guitar pedals. I will ignore how much things cost from now on. Cons – none! As explained, saturation is often used on acoustic guitars to bring out the natural harmonics of the instrument and make it sing. Voodoo Lab’s Sparkle Drive MOD is based on the companies Sparkle Drive. But has a few additional settings that allow a choice of different distortion modes. Most of these are smoother, bluesier, more subtle tones. Making it ideal for use with an acoustic, provided you’re reasonable with the gain level. The pedals most useful feature for acoustic players is the ‘Clean’ knob. It’s another parallel feature. Like that used on the Cali76, and allows a blend of the original clean signal and the distorted signal. This produces excellent results. And maintains the guitars natural resonance without covering it in distortion. It also makes feedback reduction incredibly easy, by simply changing the clean/distortion mix. The Sparkle Drive is one of the very few distortion pedals that has this feature. And it’s the reason it gets to sit alongside the Cali76. And awarded the Best Acoustic Guitar Distortion title. Clean knob allowing parallel processing. You can also use it as a great electric guitar distortion if you need one. The Boss Waza Craft CE-2W Chorus is the reimagining of the companies original CE-2 and CE-1 pedals. It sounds superb and has all the magic that made the originals so famous. As well as maintaining the legendary chorus and vibrato sounds. It also features additional voices, that expand its utility on stage and in the studio. Its classic chorus tones go from subtle to extreme. And with the addition of the vibrato, the CE-2W could be the only modulation pedal you’ll ever need for acoustic stage use. It’s a well-executed, thoughtfully designed, analog modulation pedal that most guitarists will love. And easily wins the Best Acoustic Guitar Chorus Award. Joining the other pedals, on our ultimate pedal board. Loads of classic, yet varied chorus tones. Sounds ranges from very subtle to over-the-top. I’ve worked with some massive pedal boards in my time, some having over 20 different pedals on them. They normally belong to guitarists who play in art-rock, shoe-gaze or post-rock bands. And are capable of producing some absolutely amazing, truly unique sounds. But let’s be honest. Even on a money no object best acoustic guitar pedal board, that many pedals, would be overkill. So I have decided to combine the delay and reverb functions into one category. The repeats decay into a nice ambient swell with no oscillation. When using the reverb with no delay, the repeats control can be used to thicken up the reverb and give it more dimension. Measures: 4.37" X 2.37" X 1.75" with knobs. Side mount jacks. 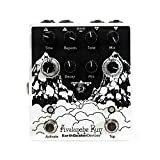 The Avalanche Run is a rich sounding stereo delay and reverb pedal with tap tempo. It’s a sonic daydream, designed to be continually explored, but never truly understood. But it’s still straightforward enough to get great sounds out of it, within no time at all. As with all the companies products. It maintains EarthQuaker’s sterling reputation for uncompromising quality. Offering a myriad of useful features. Three stunning voices, sensible parameter choices, stereo Ins and outs, clean headroom, and extensive expression pedal options. It’s not only one of the most flexible effects pedals currently available. But one of the best all-round guitar effects pedals ever made. That’s the reason why it has to be on our ultimate acoustic pedal board. Winning not only the Best Acoustic Guitar Delay award. But also the one for Best Acoustic Guitar Reverb. Amazing sounding Delays and Reverbs. Mix control to subtly mix them with the pure acoustic sound. There would be more functional options if a separate delay and reverb were used. But the Avalanche Run sound more than makes up for this. 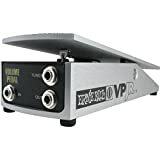 There really isn’t a lot of difference between a volume pedal for an electric guitar pedalboard and an acoustic guitar pedalboard. Passive electronics, which are compatible with the output from acoustic guitar pickups being the only important feature I can think of. It works perfectly with any acoustic pedalboard. Its 250K pot integrating perfectly with the output of acoustic guitars. It also features a handy tuner out circuit, so your tuner remains outside of the main signal chain. It’s specially designed for passive sources. As mentioned, the Ernie Ball Junior volume pedal has that ever so useful tuner out feature. So, we better make good use of it. But which tuner will win the accolade of being the Best Acoustic Guitar Tuner. Getting the last but one spot, on our ultimate dream acoustic pedal board? The PolyTune 3 takes laborious guitar tuning and makes it as simple as strum, tune, 1-2-3-4-Go!! Not only is it ridiculously easy to use, but it’s packed with great tuning features. These include multiple tuning modes – polyphonic, chromatic, strobe and a variety of altered tunings. It also features an onboard buffer to preserve tone over long cable runs and pedal board signal paths. Accurate easy to read display. Dedicated loopers have been around since the early 2000s. But the Pigtronix Infinity takes looping to a new level. Its 48kHz/24-bit sound quality delivers two independent loops with serial or parallel modes. Enabling you to get adventurous with advanced layering. It allows overdubs to be undone and redone effortlessly. And you can store your dual-loop creations in 50 preset locations. The internal 8GB micro SD card allows around two hours of recording. The unit features Loop Aging. Allowing the pedal to be set up to gradually fade out loops, as you create new ideas. Using an expression pedal for control. The Infinity sounds great. With next to no difference between your live sound and the recorded sound. It offers an extensive range of features and is a very flexible and musical tool. Earning it a place on our dream acoustic pedal board. And the award for the Best Acoustic Guitar Looper. Sounds and features take Looping to another level. Loop Aging to take the edge off continual repetition. An additional Dual Remote is needed to access the midi functions. As well put the undo/redo function and reverse loop mode at your feet. But since money is not a concern with this pedalboard, we’ll have a Dual Remote as well, please. Not the easiest looper on the market to use, but that is understandable considering its features. Let’s imagine that a mega-rich superstar, gives you the challenge of building them the best acoustic guitar pedal board that money can buy. Money is of no concern, all that is important is the sound, the features, and the functionality. It’s obviously going to feature the best acoustic guitar pedals on the planet, but what pedals will they be? But before we check out my top picks for the best acoustic guitar pedal, in each category. Let’s first answer some questions I often get asked on the subject of, the best acoustic guitar pedals. Aren’t effects pedals just for electric guitars? The number of acoustic players using effects is increasing all the time. Some purists still love the sound of an acoustic guitar exactly the way it is and there is absolutely nothing wrong with that. In certain situations, it is by far the most appropriate sound. But there is also nothing wrong with messing with that sound in any way imaginable. In order to create a completely different, but equally as amazing sound. It doesn’t have to be crazy. Wha-wha on an acoustic for example rarely works. But subtle effects can enhance the beauty and lushness of even the nicest acoustic guitars. Lots of people imagine acoustic guitars as being recorded with a few nice microphones. And then basically left untreated, until the finished mix. This is certainly not the case, with the majority of acoustic guitars you hear on records. They are all obviously equalized, as you would expect. But on top of that, I would say, that 99% of them are compressed, sometimes gently, but often quite hard. After compression, if you want to bring out the harmonics within the instrument there is only one choice – saturation. Saturation is the nice word that sound engineers use for distortion. Yes, the same distortion you use on electric guitars to rock out! The SansAmp, which is basically a distortion pedal is fantastic on acoustic guitars. It’s also amazing on kick drums, snare drums, bass guitar, etc. etc. It’s used by a lot of the world’s top producers for these recording and mixing tasks. To be honest it’s great on nearly everything except ironically, electric guitars. But other guitar overdrive and distortion pedals can also sound amazing on acoustics. The Voodoo Lab’s Sparkle Drive MOD for example. Remember that not all instruments take distortion in the same way as electric guitars. Just don’t go as crazy with the settings and use overdrive or distortion to subtly bring out the best in the instrument. Without making it sound like Metallica turned up to eleven. Then we have Chorus, which is often used on live and recorded acoustics to make them sound lush. Followed by delays and reverbs to put the acoustic in a space. These are just the common effects used on acoustic guitars both live and in the studio. I have over the years recorded acoustics going through nearly everything. From crazy flanger settings to the wha-wha acoustic I mentioned earlier. Hopefully, all that makes it crystal clear, that effects pedals are most certainly not only for electric guitarists. What order should I put my acoustic guitar pedals in? There are no fixed rules for what order you should put your pedals in, either for acoustic guitar or electric. But there are guidelines that most guitarists follow. These guidelines are worth following for practice sessions and live performance. They ensure the highest quality of signal going from your guitar to your amp or DI. But for studio use, you can get creative and put your pedals in any order you like. See what they sound like, and then decide. Always remember to experiment while recording. In terms of what order to put the best acoustic guitar pedals in – dynamics come first, then gain devices. Then comes equalization, followed by modulation, then delays, reverbs, and finally volume control. Dynamics are basically your compressor, while gain devices are overdrives, distortion, and boosters. It’s worth experiment experimenting here though. Because some compressors sound better after some gain pedals than before them. Swop them around and have a listen, before deciding on your perfect pedal order. Equalizers come next. But again you can experiment to see if they sound better before or after the modulation effects with your particular pedals. Next comes your modulation pedals. Which for our ultimate acoustic guitar pedalboard would normally be a chorus pedal. But you could include vibratos, flangers, phasers etc. as well. After that comes the delays, followed by the reverbs. And finally, you have a Volume pedal and maybe a Looper. Tuners can be placed anywhere in the signal path. Or preferably, outside the path on a tuner out send, from one of the pedals. Keeping your signal clean. Many guitarists put tuners early on in the pedal chain. This is because they are more stable and therefore accurate when they only have the pure input signal from, for example, the compressor. As opposed to having to deal with a modulating, delayed, reverb’ed input signal later on in the pedal chain. True Bypass is worth considering when you’re looking at what pedals to buy. Every guitars signal path is vulnerable to noise and impurities. These are introduced by the circuitry of anything that is between your guitar and your amplifier and speaker. Pedals that do not feature true bypass or ones with buffered circuitry, will contribute to this signal degradation. This is because even though the pedal may be off. The signal still passes directly through its circuitry. Pedals that feature true bypass direct the signal around the pedal’s circuitry, or bypass it, when the pedal is switched off. This maintains the integrity of the signal. Using true bypass pedals normally results in a fuller guitar sound. It also doesn’t need as much volume boost, because less signal is being lost in the effects chain. There is however a disadvantage. 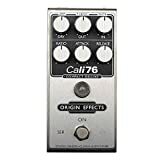 Sometimes, when playing with distorted or high-gain tones, some switching noise may be heard as the pedals are switched on and off. The advantages of True Bypass obviously outweigh the disadvantages. But don’t get too hung up about it. If you like the way a pedal sounds and it isn’t a true bypass design, don’t worry, go for it and work with it. Remember that True-Bypass pedals haven’t always been with us. And a lot of the greatest guitar tones ever heard live, and recorded on your favorite songs were created using old buffered circuitry. Boss pedals, including all the iconic models, are not true-bypass. Yet they have been constantly used by countless sonic pioneers. Players such as David Gilmore, Prince, Jonny Greenwood, The Edge, Johnny Marr, and Robert Smith. I think, you’d actually be hard pushed to find any pro guitarist, who doesn’t or hasn’t used Boss pedals at some point of their career. Now that all the most common questions have been covered. Let’s move on to what are in my opinion, the best acoustic guitar pedals currently available. The ones that we will use to build the ultimate acoustic guitar pedal board. Much to the delight of our mysterious mega-rich superstar client. So there we have it. In my opinion, the best options in every category of pedal. All would deservedly, have a place on the world’s best acoustic guitar pedalboard. Every pedal featured, wins the best acoustic guitar pedal prize in its respective category. If you’re only looking for a few pedals to bring your acoustic guitar to life, choose a couple of those featured, and start off with them. But if you want the best acoustic guitar pedalboard that money can buy, get them all. And enjoy listening to some new, amazing guitar sounds. That you never thought you’re humble little acoustic, would ever make.